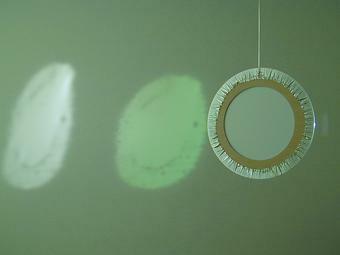 Suspended from the ceiling, a simple circular wooden frame wrapped in mirror foil rotates slowly. 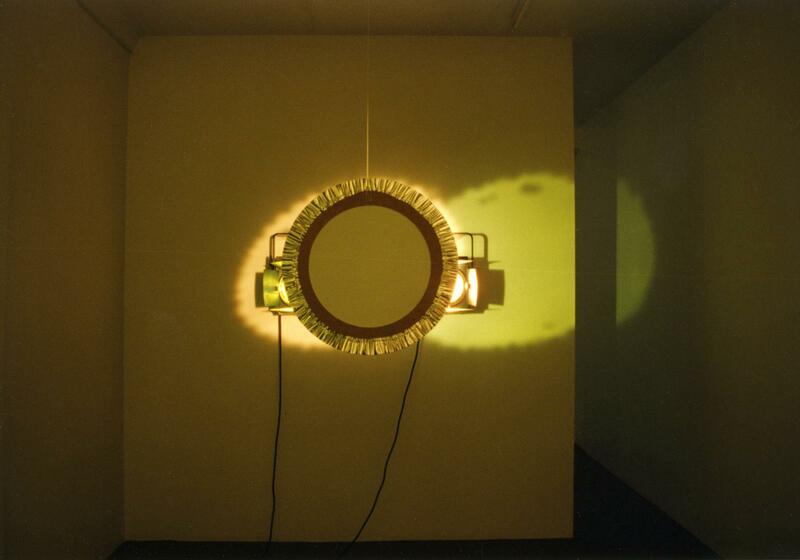 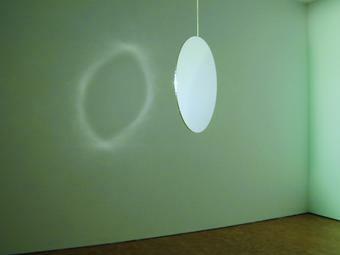 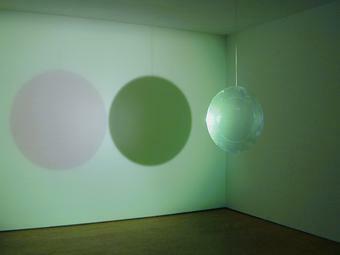 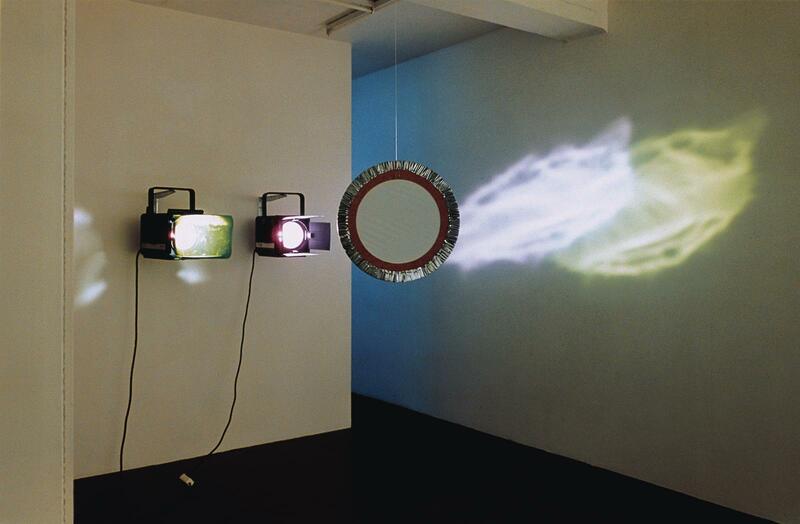 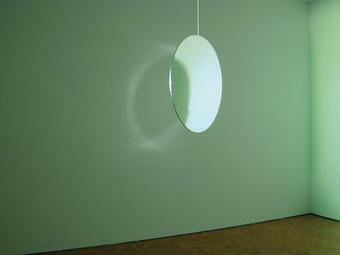 Two spotlights, one white and one green, project light onto the one-sided mirror, creating two reflections that move through the space as the disc rotates. 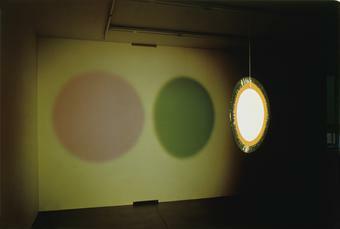 At the same time, it casts two shadows on the wall opposite the spotlights: the shadow generated by the white light appears green, while the shadow from the green light appears red. 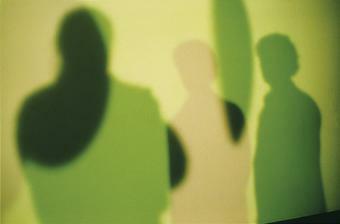 This phenomenon was investigated by Goethe in the late 18th century.